The CSNA Masters Program is an academic status of higher standing granted to CSNA graduates who have undergone further research, study and preparation to demonstrate personal mastery and a higher-order of accomplishment in sports nutrition. 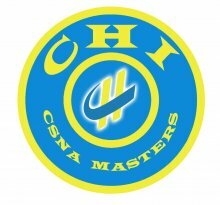 CSNA Master students must be active CHI Members. CSNA Masters Students are required to submit a self-directed documentary style narrative video of themselves discussing the major principles disclosed in their CSNA final dissertation. Video commentary to include topics related to the art and science of sports nutrition, the professional role of a Certified Sports Nutrition Advisor, optimum health, the importance of exercise and physical activity, whole natural foods and natural health products. In short, what is "optimum health" and how does one achieve it! CSNA Master Students are graded on the quality of their presentation, creativity and video content. The final approved video will be published on ChiTV Youtube and may be utilized by the student as a personal marketing and teaching tool on their own website. There is no time limit to complete this assignment but most students complete the project in 4-12 weeks. The final video is a wonderful marketing tool for student websites. Successful CSNA Master Students will receive a CSNA Masters Certificate of Graduation.